We provide modelers with a wide array of model subjects and scales including: aircraft, cars, armor, ships and figures, as well as science fiction models from some of the leading manufacturers in the business. IF ITEM IS OUT OF STOCK ONLINE, PLEASE FEEL FREE TO CONTACT THE STORE, AND LET US SPECIAL ORDER IT FOR YOU! 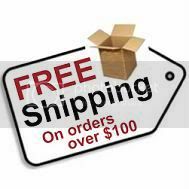 KING'S HOBBY SHOP SHIPS DOMESTICALLY AND INTERNATIONALLY WITH USPS PRIORITY MAIL.